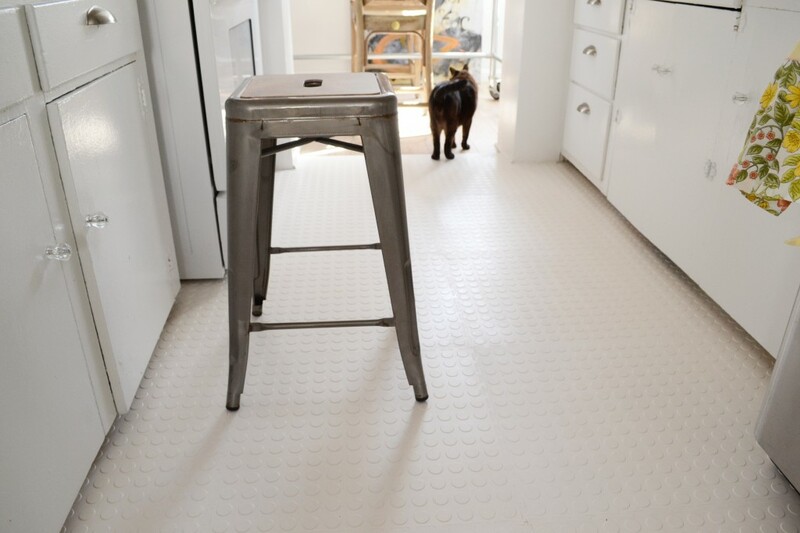 Rubber flooring isn’t just for garages and basements anymore! 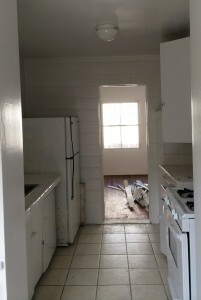 Ugly, cheap kitchen tile laid down in the 80s was the eyesore that was my kitchen. There was no budget or time to rip up the old floor and install new ceramic tile. Instead, industrial rubber flooring proved to be a smart and stylish solution. 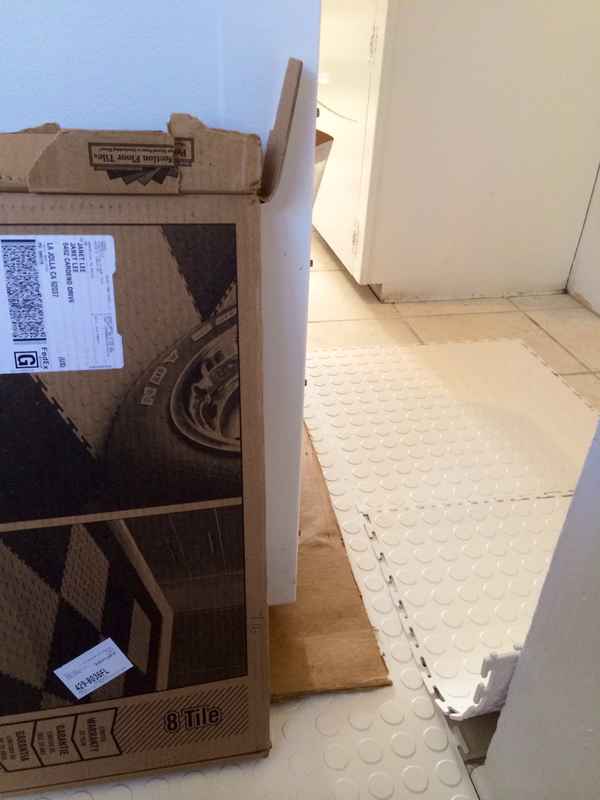 The tiles click together like Lego puzzle pieces and require no smelly adhesives to install. To install, rubber tiles are easily cut to size with a pair of sharp craft scissors. Score the top of the tile with a utility knife and finish the cut with scissors. Have a rubber mallet handy to tap the interlocking pieces together without leaving a mark on the surface. Your local Dollar Tree always have them in stock. It is a good thing to add to your tool kit. You will be surprised how often you use it. 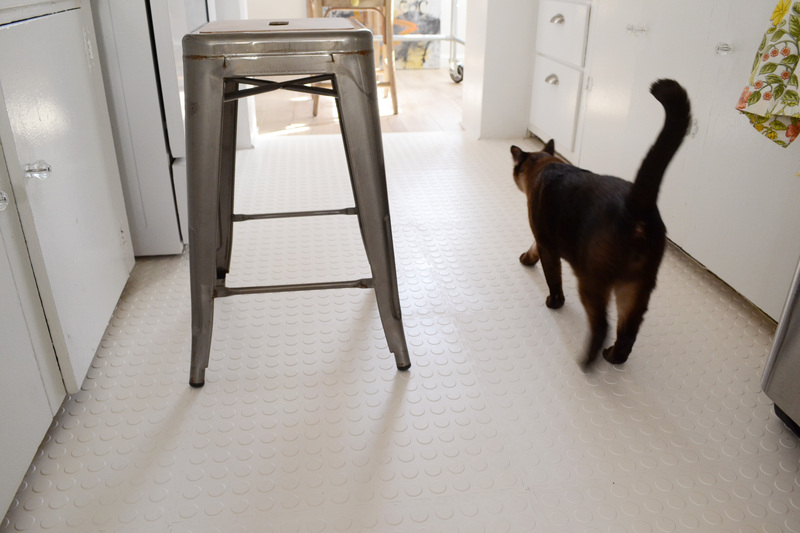 These rubber coin tiles are from Rubber Flooring Inc. and cost $265 to cover 60-square feet. They were offering a 25% sale and last I checked the promotion was still being offered. They also come in a wide array of colors. The floor is easy to clean and is resistant to mold and mildew. For renters, the flooring is chic and portable and you can take it with you to your next nutshell in a jiffy. Or change out the floor easily when the mood strikes. Give it a whirl!